Ultra-high vacuum (UHV) is the art of precise vacuum technology, all kinds of vacuum coating, testing, analysis, measurement, and other experiments are integrated in one or more UHV vacuum chambers per customer’s demand. 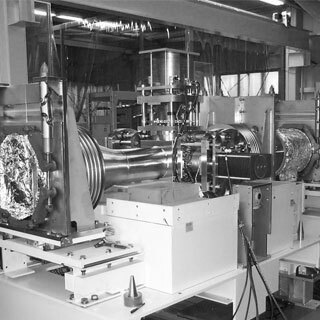 And we can use ultra-high vacuum transmission system and degassing vacuum chamber in uhv vacuum pump to make linkage. Htc vacuum has the rich experience and vacuum technology in UHV chamber and UHV component fabrication. The definition of vacuum is to describe any vacuum pressure below one standard atmosphere, Ultra-high vacuum is defined as the pressure range around 1.33 x 10-4 Pa （1 × 10-6 Torr） and the ultrahigh vacuum is defined as the pressure range 10-7 Pa (7.5 x 10-10 Torr) or lower vacuum pressure. And the table of vacuum degree classification is as below. 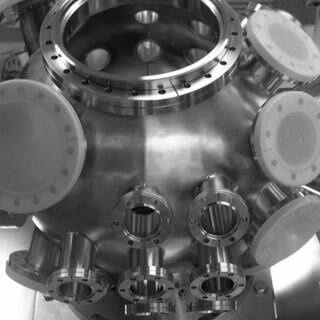 We make the precise design of UHV vacuum chamber according to different experimental demand and guarantee to meet customer's experiment on a variety of quality and performance requirements. Htc Vacuum ultrahigh vacuum (UHV) chambers are applicable for many kinds of application and configuration including synchrotron radiation, the requirement for scientific research, various of special customer’s specifications and equipment of the functional requirements and also provide standard ultrahigh vacuum (UHV) degassing chamber. Htc Vacuum is capable to offer the UHV exhaust system simulation and RGA analysis measurement for UHV chamber. And we can provide design service per customer request. Htc Vacuum has the standard acceptance specification of the ultrahigh vacuum (UHV) chamber, including the surface treatment, leakage rate and standard process of cleaning and inspection. 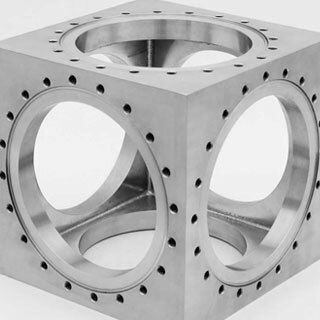 Leakage rate for ultrahigh vacuum (UHV) chamber is less than 2 x 10-10 mbar. l/sec, vacuum degree can achieve 10-10 torr. In order to avoid the residual pollution of cutting fluid during the fabrication process, we will go through the several cleaning procedures and inspection SOP after cutting; In the process of welding, each Port after calibration, make sure they can accurate load all kinds of accessories; Finally, at the completion of RGA test confirmed, ultrahigh vacuum (UHV) chamber would like to do the final cleaning and packing. 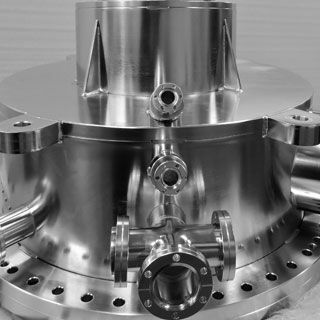 Acceptance criteria of special ultra-high vacuum (UHV) chamber will be manufactured according to customer requirements.